Having boundaries may on the surface seem like a negative trait, but I believe them to be one of the most important characteristics in a loving/respectful relationship, both to one’s self and to another. I spent much of my teenage life trying to appease people: being ‘nice’ to them so they would like me. This bound-less pursuit allowed many to treat me disrespectfully and, in the interests of maintaining a cordial atmosphere, I used to swallow this, despite it making me feel worthless. It was only after I started building my own self-esteem that it become important to ‘help’ my true friends and colleagues know when their behaviour was becoming uncomfortable for me (applying boundaries). Through this, I found a not only a deeper my love for myself, but also for them. I remember confronting a world famous record producer I was writing with who I’d formerly allowed to treat me disrespectfully. Needless to say, after this confrontation his ego didn’t allow him to work with me for 4 years. But when he did eventually call, I was treated less like the victim I was, and more like the professional I’d become. How can we call someone a true friend if we allow him or her to hurt us? So by allowing them to see when they’d crossed a line, I was being both loving to myself and respectful to them. A child who is given boundaries early on turns out less self-centred and more self-assured and I think adult relationships are no different. I now surround myself with friends and colleagues who I respect and who respect me in return. Not only that, I feel we’ve become more empathetic to each other’s needs because our mutual honesty allows us to reach a deeper understanding of one another… and yes, we still have fun ‘kicking a ball about’ right on those boundary walls! So what’s been happening in March…? Well a mahooosive amount! 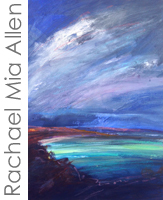 We’ve had a glut of new work, opened the new gallery to huge customer praise (thank you so much!) Deborah has started and is already making her self indispensable, and we’ve launched our first exhibition of the year with Ben Taffinder… phew! And this coming month is no different. So here’s the rundown. That smashin’ Robin Mason came in with a whole new collection yesterday. Is it possible that he can get even better? Well why not decide for yourself by gendering over to his page. 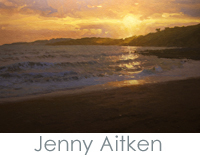 The lovely Jenny Aitken will be in tomorrow with some new pieces, many of which are already on the website. What she doesn’t know about light on the water, eh? 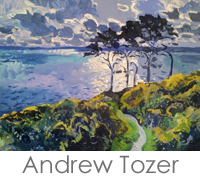 Andrew Tozer, too, is in the throes of painting an entirely new collection for us and will be in within the next few days with those, so why not keep your eyes peeled on the website or, if you do one of them, our Facebook, Twitter, Instagram or Google+ feeds, where they’ll go live first. Joe Armstrong has replaced his latest, which sold almost overnight, with another incredible piece and the mighty Ilric Shetland (whose huge seascape, Cresting, sold over the Easter break) will come in soon with this astonishing artwork very soon, aptly entitled The Justice of Water! 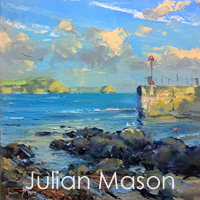 Julian Mason has astounded even my mighty expectations with five of his first pieces with us selling in as many days (many of which I could have sold 2 or 3 times over) so he’s being kind enough to send us a new batch next week… and they’re astounding, too! Make a date to check them out here. 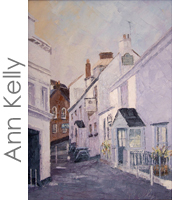 And the delightful Ann Kelly has sent down 4 new pieces after selling so well in February, so you can find those delightful studies of local scenes like the Victory in St Mawes right here. 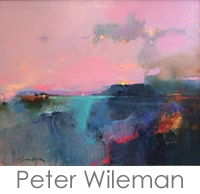 And before I sign off, it’d be rude not to let you know about some new Peter Wileman’s on their way to us to replace his sales. This man’s talent always causes a stir in the gallery and this new batch are certain to hit that same spot, so saunter over here when you have a moment, why don’tcha? So there it is. Oh and sincere apologies if you’ve had an issue with our website on your mobile. 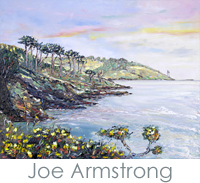 Joe Armstrong noticed the error so we’ve resolved that now and it should be fine now. Let me know if you’re still having issues, please. Thanks again for another incredible year. I have just five days to go to my 4th anniversary and the growth, once again this year, has astounded me. Thank you, thank you, thank you. More on that next month. Oh, STOP PRESS. As I’m writing this, the incredible Rachael Mia Allen‘s just posted this on its way to us. It’ll go live here soon! For now, have a corker, me lovelies! If you read my newsletters regularly, you’ll know I’m a great believer that if something supposed to happen, I believe all the doors will fly open easily for you. Whether you believe it’s a deity at work or just plain luck, we all know the feeling of something ‘just feeling right’. I’ve had so many battles in my youth, trying to force something that just doesn’t want to happen, so I know just how wonderful and easy it is when something really flows… and the past few months have bought just that for me and the gallery… read more.